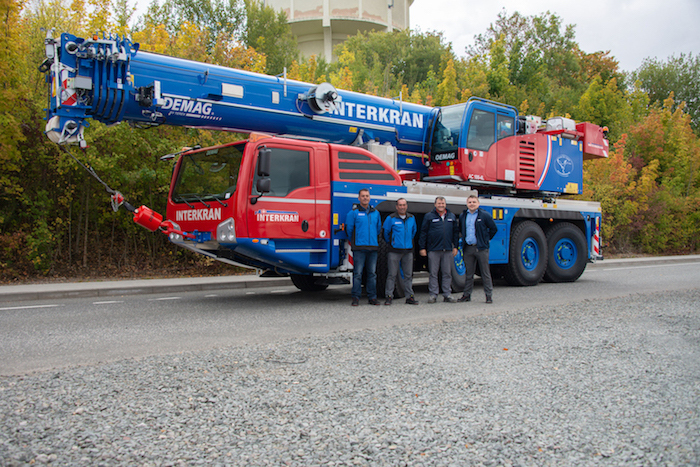 Swiss rental company Interkran AG, based in Lachau, has taken delivery of its new Demag AC 100-4L all terrain crane. It was chosen for its compact design, is 2.55m wide, associated with its capabilities, including the system length of 77m. 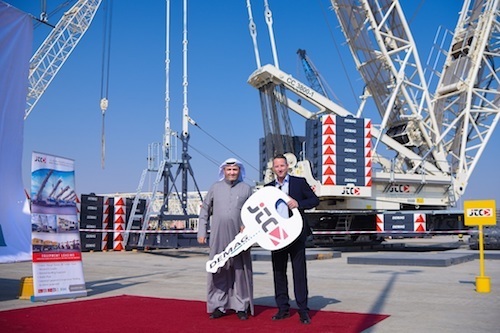 The crane was delivered by Christian Kassner, Terex Cranes Senior Sales Manager for Germany, Austria and Switzerland. This machine will be used to erect tower cranes and as a taxi crane. 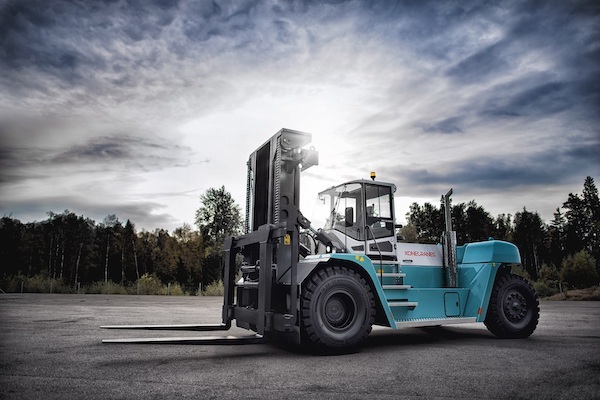 “Thanks to the AC 100-4L’s large lifting capacity and new IC-1 Plus control system, we’ll even be able to forego the use of a second crane for certain lifts,” says Tony Teixeira, General Manager of Interkran AG. The heavy lift and transport specialist Mammoet has taken delivery of its first Demag AC 55-3 all terrain crane. “The main reason why we chose the Demag AC 55-3 is its outstanding lifting capacity. In addition, the AC 55-3 is an extraordinarily robust and reliable crane, as our Dutch colleagues have confirmed,” explained Vitor de Costa, part of Mammoet’s Fleet Maintenance staff, who picked up the crane in Zweibrücken together with crane operator Alexander Morasch and was handed over by Terex Cranes Key Account Senior Sales Manager Uwe Schlicher. The Demag AC 55-3 will be used at the BASF factory premises in Ludwigshafen, Germany. Photo: From left to right: Vitor da Costa (Fleet maintenance and Repair Manager, Mammoet), Alexander Morasch (Crane Operator, Mammoet), Uwe Schlicher (Key Account Senior Sales Manager, Terex Cranes) and Beatrix Bader (Commercial Operation Coordinator, Terex Cranes). Terminal operator Yilport Holding, a subsidiary of Yildrim Group, has recently obtained two Liebherr LHM 600 mobile harbour cranes for its recently acquired terminal Puerto Quetzal, located 102 km from Guatemala City. 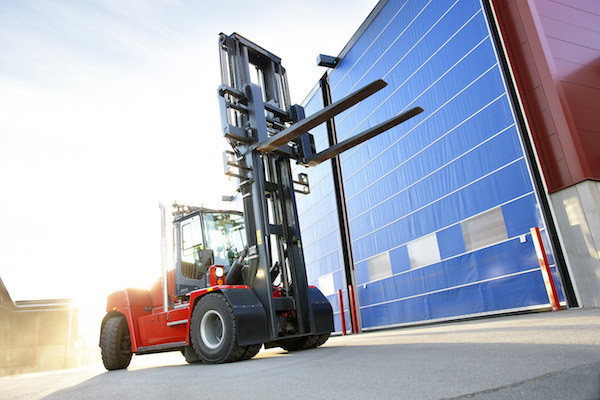 The machines are equipped with a tower extension of 12 m, which ensures a maximum cabin height of more than 37 m. As stated by the manufacturer, the higher position of the operator cabin ensures high visibility into deep cargo holds and enables highly efficient container handling with maximum safety. 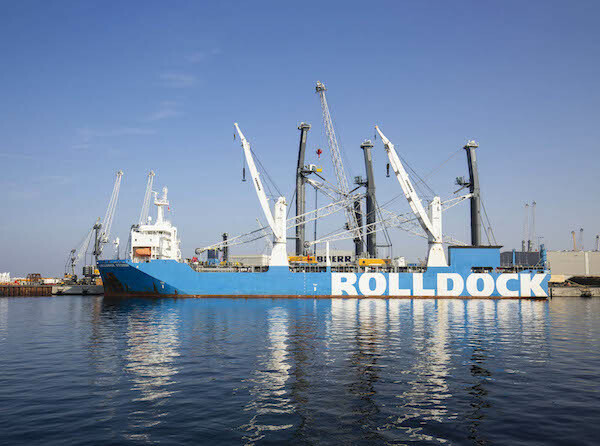 With a maximum outreach of 58 m, twin lift capability and a lifting capacity of 104 t, the LHM 600 is capable of servicing vessels up to 19 container rows wide and nine container stacks high. 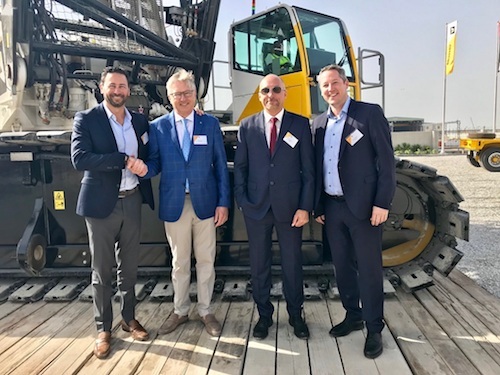 According to Liebherr, Yilport Holding has an option for two more machines in 2019. 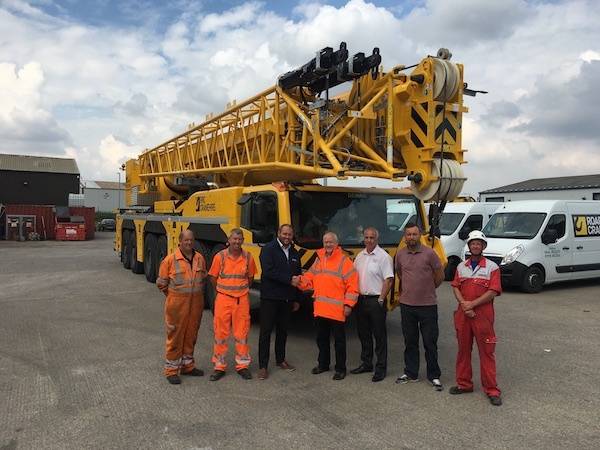 The British premium crane service provider for mobile cranes RRC Cranes Hire Ltd, with Road Rail Cranes Ltd, has just extended its fleet with a new Demag AC 300-6 all terrain crane, unseen in United Kingdom. This 300t model (350 US ton) combined strength with the ability to lift 15t on a full meter boom. “Since adding our first specialized crane in early 2013, we’ve worked hard to build an impeccable reputation for network rail infrastructure,” said Ian Cross, managing director for RRC. 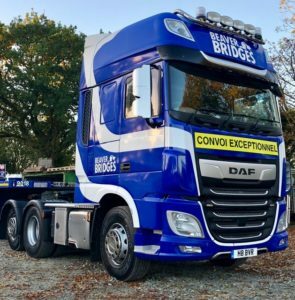 “From the very beginning, we knew the company would be successful if we employed highly trained operators and equipped them with quality and innovative equipment. 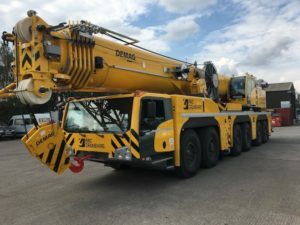 The Demag AC 300-6 all terrain crane exemplifies those standards and will be a great addition as we continue to grow as a company.” In total, RRC Group owns and operates more than 24 Terex and Demag cranes. 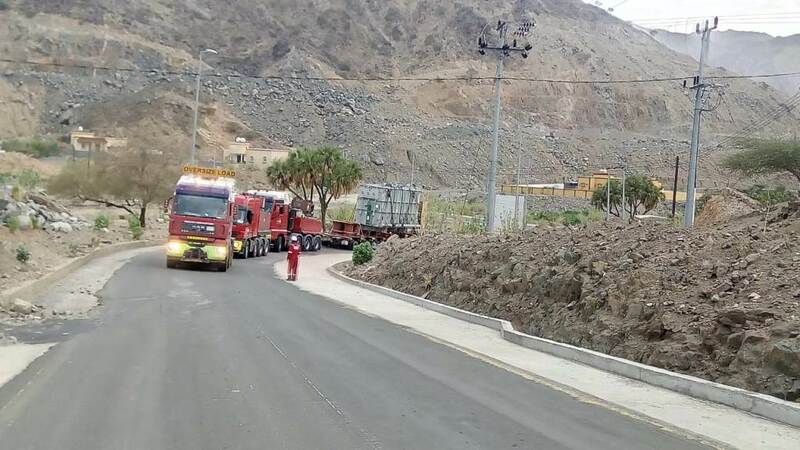 Ale has completed the delivery of two transformers, weighing 75t each, through a 2,000km route to Al Farsha Substation in the south west of Saudi Arabia. 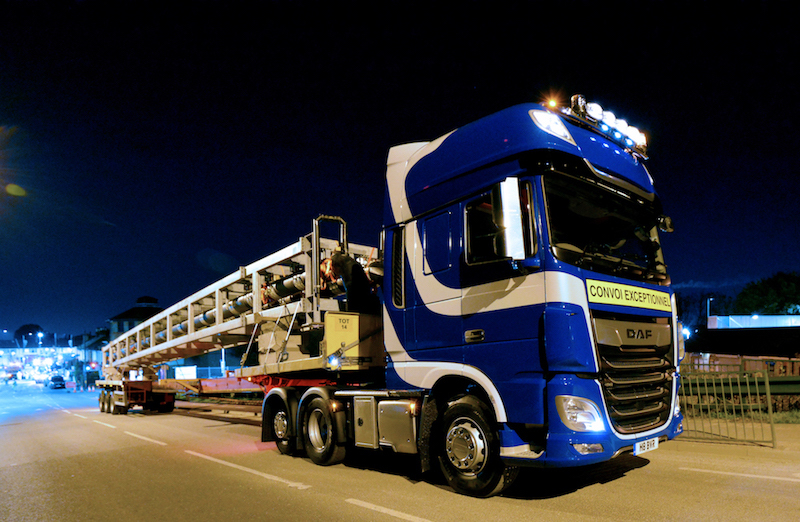 The main task of the heavy lifting contractor was to find a feasible solution for transporting the transformers to the power station as the route had never been attempted before. Ale has been the first company to provide the client with a solution, previous attempts had been made by other companies, but was deemed infeasible and only reached Baish, 700km from Jeddah. The final route selected presented many different challenges, such as traversing across 13 cities and towns, climbing to a high-altitude height of 2,500m, descending 1,500m downhill through mountainous passes, negotiating 21 tunnels, performing civil works and working in unpredictable bad weather conditions. Ale has completed this task within eleven days.